La Caisse de dépôt et placement du Québec ( "La Caisse") announced that, under the terms of a subscription agreement, it has subscribed for secured convertible debenture (the "Debenture") of Urbanimmersive Technologies Inc. (the "Corporation" or "Urbanimmersive") (TSXV: UI) with a principal amount of$250,000. Since its inception in 2007, Urbanimmersive has focused on the development of Web and 3D immersive technologies for the real estate market. In particular, the company operates a website that presents an extensive inventory of existing and future residential properties, using immersive virtual tours. The subscription was made through a private placement under the accredited investor exemption provided by applicable securities regulation. The Debenture matures on October 23, 2019, and does not bear interest. The Debenture is secured by the granting of a security interest over the Corporation's assets, subordinated to that of the Corporation's bank debt. The Debenture is convertible into common shares of the Corporation (the "Common Shares"), at the option of the holder, at any time, at a conversion price of $0.125 per Common Share. Before this subscription, La Caisse held 1,750,000 Common Shares, or 9.03% of the Common Shares outstanding and a debenture convertible into 1,000,000 Common Shares. 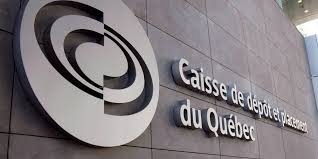 If La Caisse fully exercised its conversion right under the Debentures, it would acquire ownership of 3,000,000 Common Shares, which would bring its total ownership of the Common Shares to 4,750,000, or 19.75% of the Common Shares outstanding. La Caisse may increase or decrease its investment in the Corporation based on market conditions or other relevant factors. This news release is issued in accordance with the early warning requirements stipulated by securities regulation, which require that investors, including La Caisse, issue and file a news release and a report, then they acquire beneficial ownership of securities with voting rights that would represent, with the securities they already hold, 10% or more of the outstanding shares of the class. In accordance with the Early Warning System, a copy of this news release and the report will be filed with the applicable Canadian Securities Administrators and will be available on SEDAR's website (www.sedar.com) and from the person referred to below.